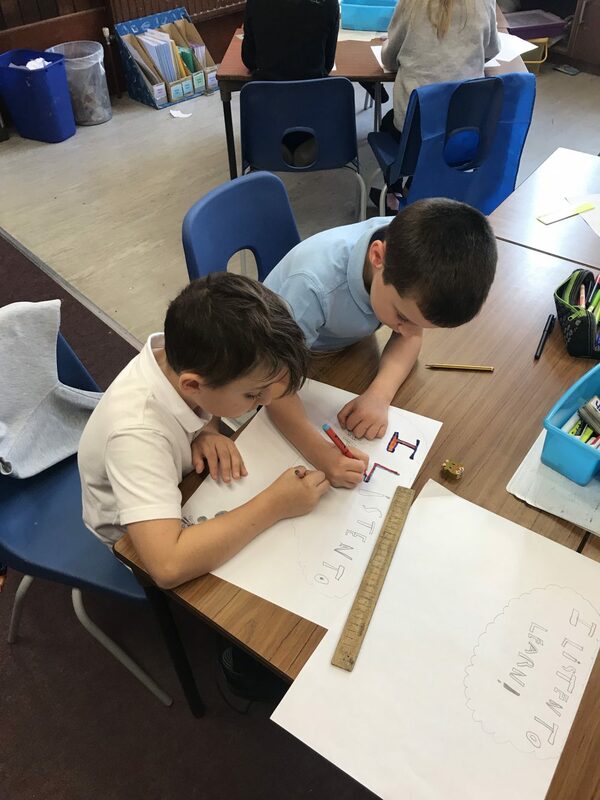 P6 and P2 worked together to prepare for an assembly presentation! This week, every class have been focused on a part of The Millbank Way. 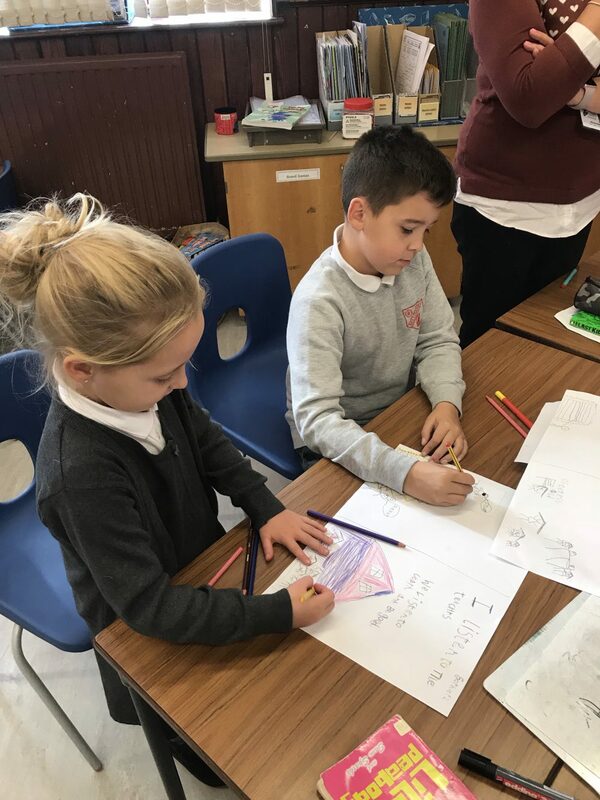 P6 and p2 were both looking at how we listen to learn. 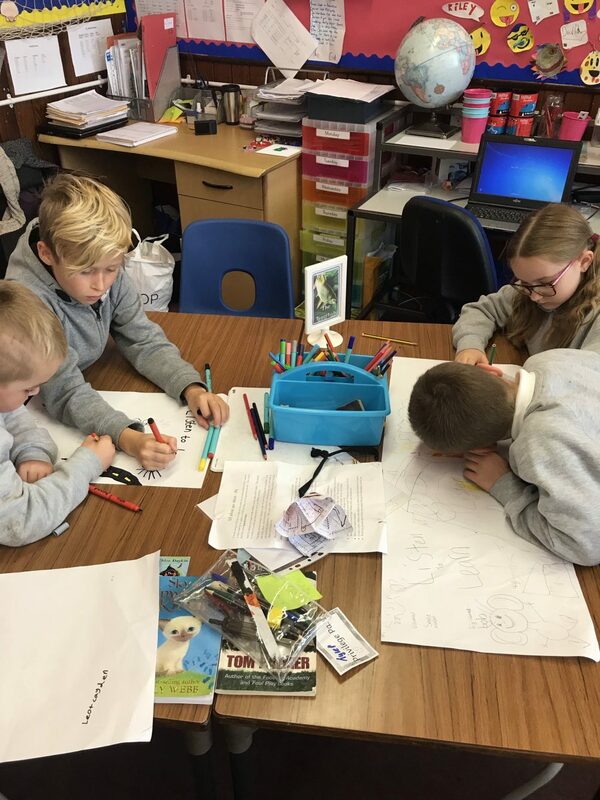 We worked really hard together to design and prepare posters for a presentation at assembly today. 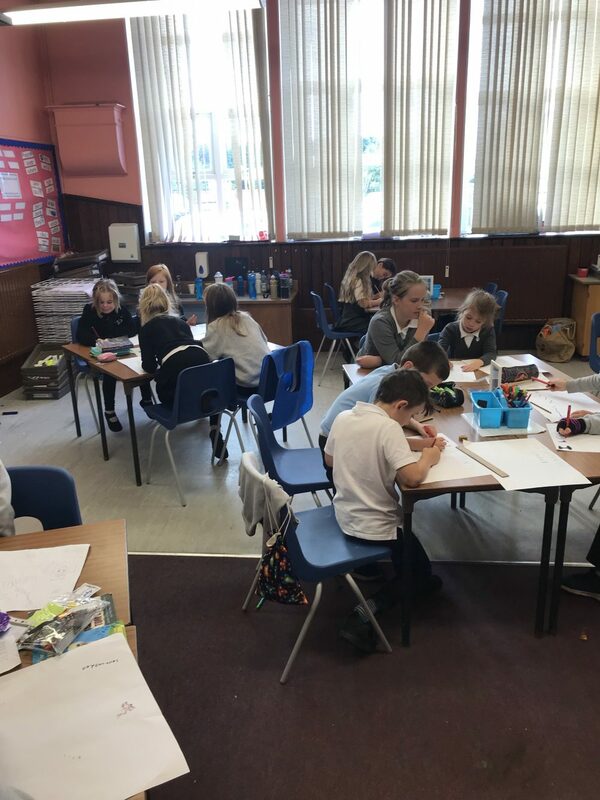 The p6 pupils really enjoyed the responsibility of helping the p2 children. 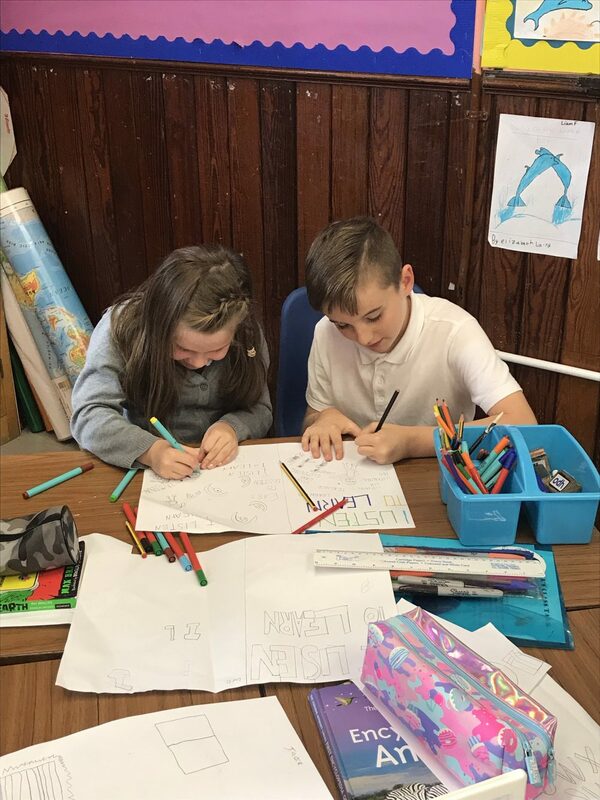 We presented our finished posters at assembly and a few of the p6 pupils explained how we listen to learn. 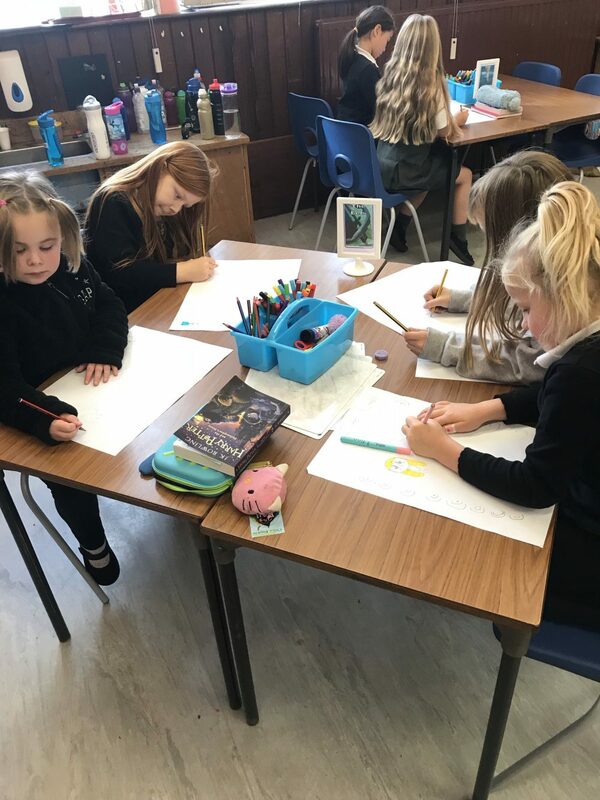 They said “We listen to our teachers by looking at them and not talking over them so we can learn” and “we listen to our classmates so we can learn from each other”. The staff and pupils in the Sparkle Class kindly taught us how to use sign language to say “I listen to learn”. We demonstrated this at assembly and everyone in the school gave it a go! 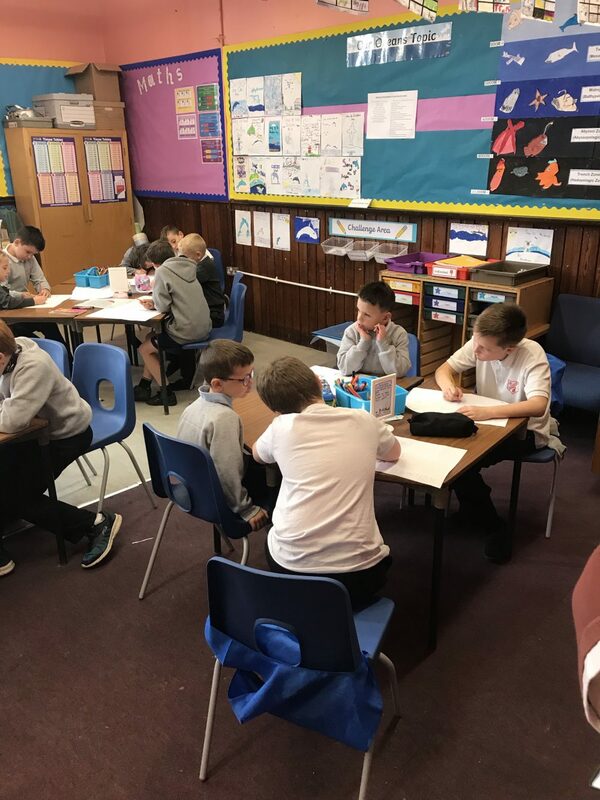 Well done p6 and p2 for working so well together! Here are a few photos showing hardworking pairs.